Photo courtesy GCAC Honey is a small tortoiseshell domestic short-haired cat. She’s about 2 to 4 years old. Honey has been spayed and vet-checked and can be visited at Greene County Animal Care & Control. This sweet cat is ready to find her new home. 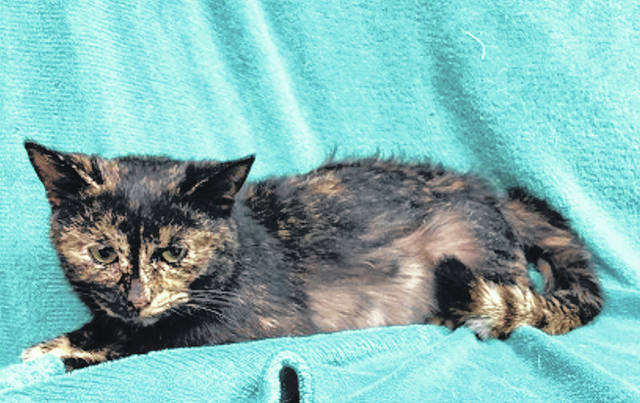 https://www.fairborndailyherald.com/wp-content/uploads/sites/50/2019/04/web1_Honey.jpgPhoto courtesy GCAC Honey is a small tortoiseshell domestic short-haired cat. She’s about 2 to 4 years old. Honey has been spayed and vet-checked and can be visited at Greene County Animal Care & Control. This sweet cat is ready to find her new home.